10 tons made models and designed the exhibition about Sirius Passet fossils. 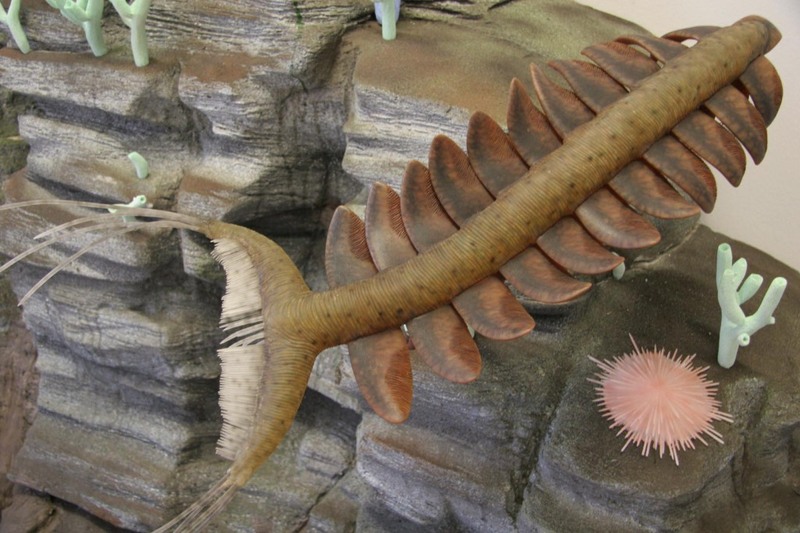 Pambdelurion whittingtoni is an extinct and blind organism from the Sirius Passet Lagerstätte, from Cambrian Greenland. 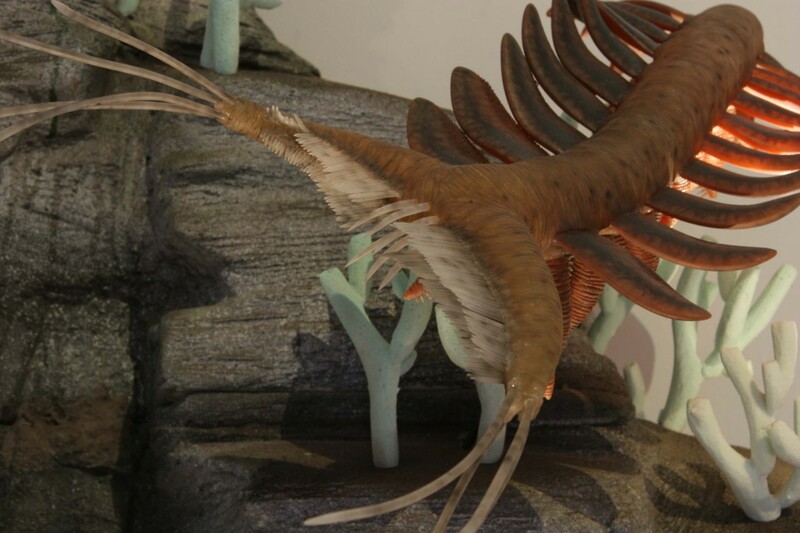 Looking somewhat like a large shrimp, and with its massive anterior limbs, it is strongly suggested that it was either an anomalocarid or a close relative thereof. The anterior limbs had comb-like rows of spines. ‬It is thought that these combs filtered plankton out of the water which were then passed to the mouth, suggesting that P. whittingtoni was a planktivore. 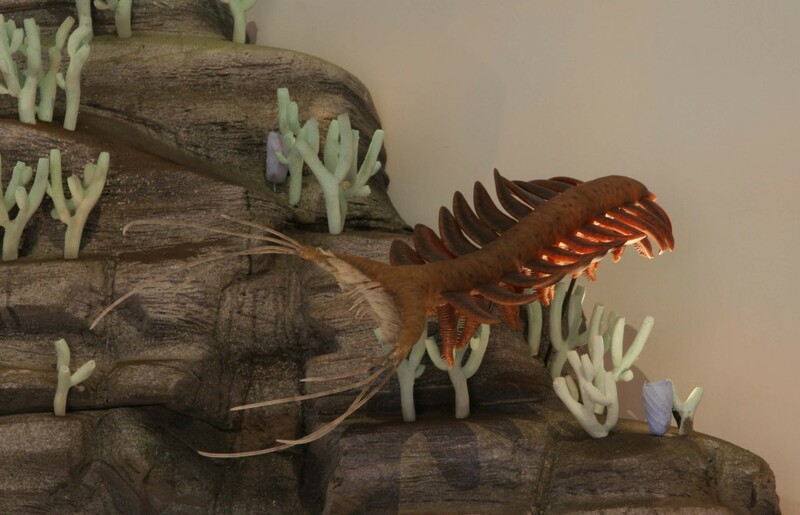 They corresponded to the feeding limbs of other anomalocarids, and it also had a row of flexible, hair-like spines that corresponded with each segment of each limb. 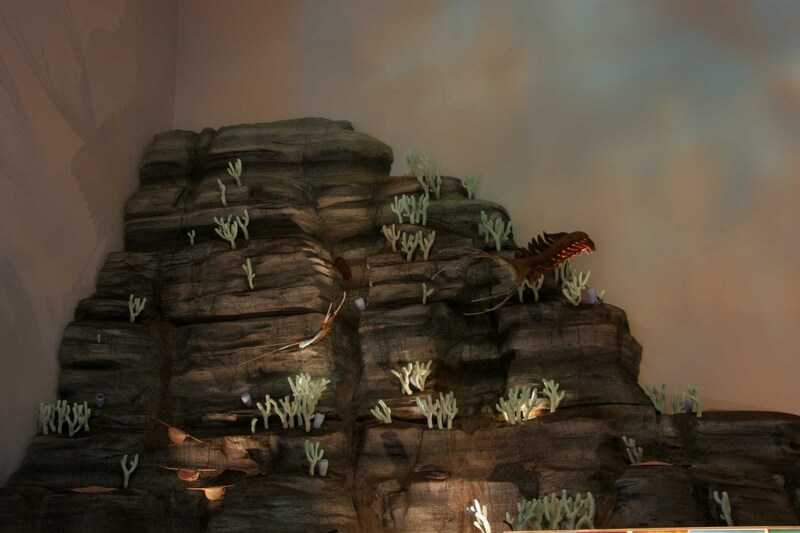 Its mouth was relatively large, though it does not appear to have any large biting surfaces like the mouth of Anomalocaris. 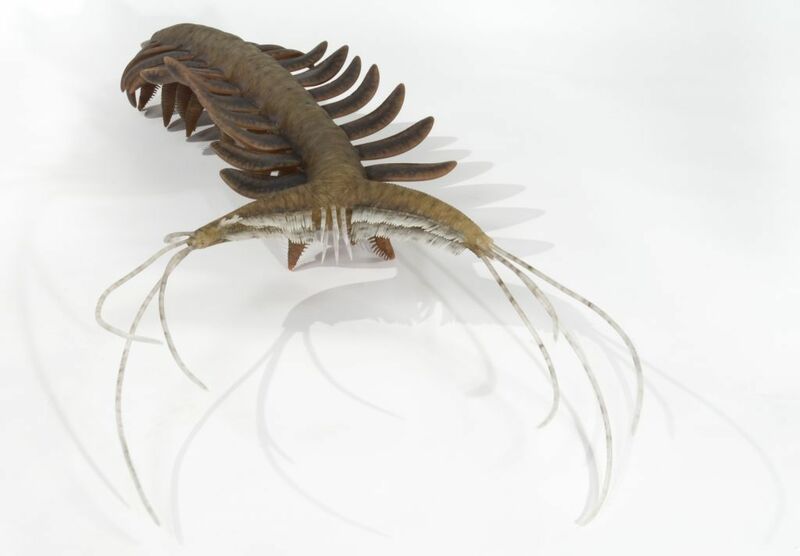 It had 11 pairs of lateral lobes, and 11 pairs of relatively large, lobopod-like legs, suggesting that it was capable of swimming in open water. It was approximately‭ ‬45‭ ‬millimetres long,‭ ‬possibly slightly larger.